(VOVWORLD) - Moc Chau is a wide, dreamy plateau in Vietnam’s northern mountains, 180 kilometers from Hanoi. Visitors can come on a motorbike or bus to Moc Chau, which entices visitors with its magnificent views, beautiful flowers, cool atmosphere, and rich ethnic minority cultures. 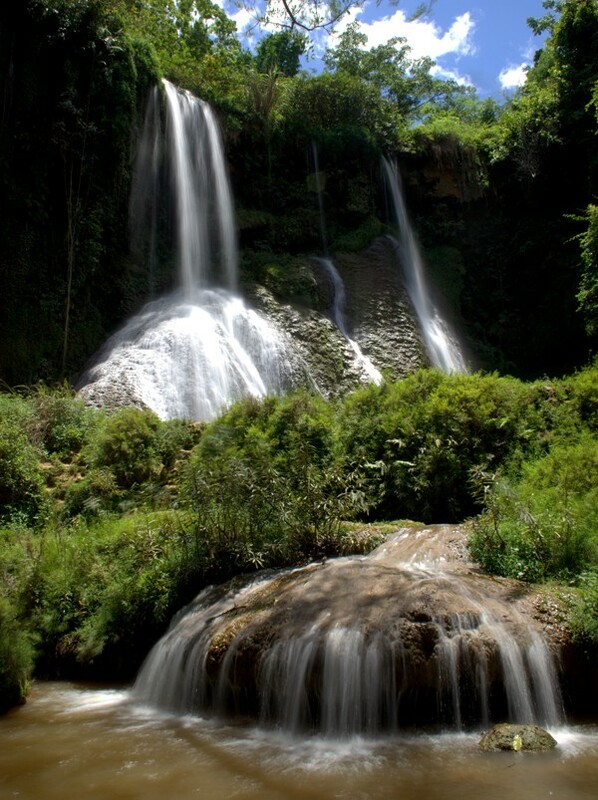 The plateau is increasingly popular with tourists. The most beautiful destinations in Moc Chau are found in the valleys and villages of Ang, Na Ka, Pa Phach, Phieng Canh, Ngu Dong, and On. Motorbikes are the best way to traverse the bumpy, rocky roads to the fields and villages around Moc Chau. Spring is a perfect time to visit, when Moc Chau is an explosion of colors: pink peach blossoms, yellow and mustard chrysanthemums, red poinsettias, and white apricot, peach, and plum blossoms, set against a green background of forests and tea farms. There are also lots of orchids. What else attracts visitors? Here are a few things. “The weather here is very distinctive from other places. I feel like there are four seasons in a day,” a visitor said. 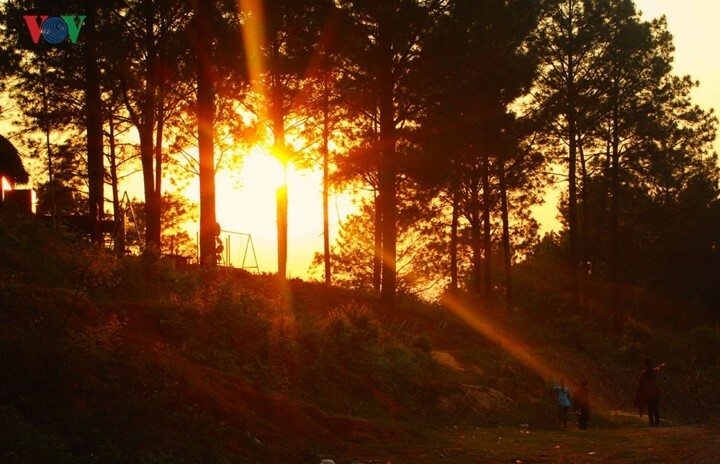 “Moc Chau is beautiful not just in a specific season but all year long. The plateau shines in spring when apricot, plum, and peach blossoms are in full bloom. Winter is when the wild sunflowers boast their typical yellow over the immense hills. 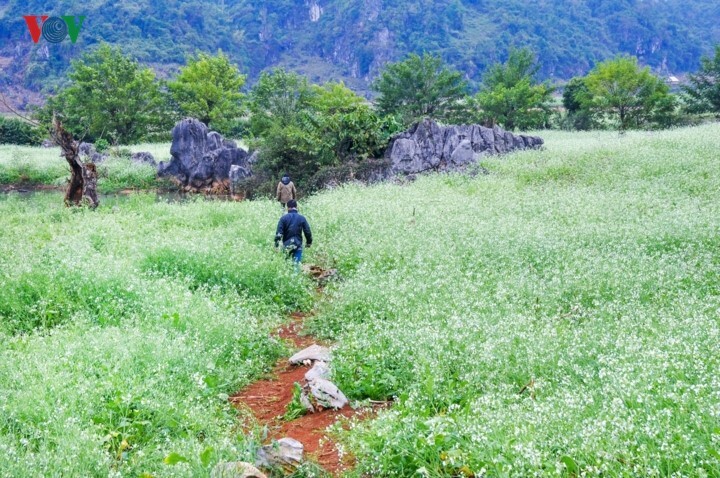 Visitors to Moc Chau can enjoy the most of local traditional ethnic activities,” another added. “What I love most about Moc Chau is the fresh cool air in the morning that makes me feel close to nature. I also love picking tea buds which are used later to make tea at home. It’s really enjoyable,” said a tourist. Tea hills in Moc Chau are endless inspiration for photographers and hikers. 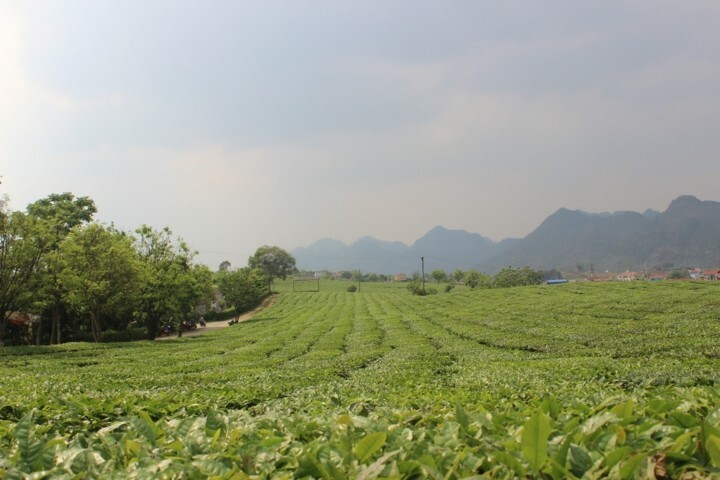 Moc Chau Plateau has a temperate climate, topography, and soil suitable for growing tea. Heart-shaped tea hills have become attractive tourist attractions, drawing a lot of visitors, especially young people. Visitors can admire immense green tea plots and rent or buy the colorful traditional costumes of local ethnic groups for photos. In addition to the immense tea fields and flower gardens, there are other interesting spots to visit in Moc Chau, according to Nguyen Nhat Lam, Director of the Viettrip Travel Company. 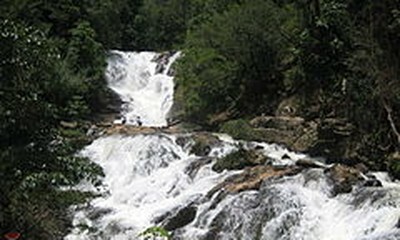 “Other tourist attractions in Moc Chau include Doi (Bat) Cave and Dai Yem waterfall. Backpackers are also interested in the Long Sap border gate, which leads them through large maize fields and ethnic villages where locals are still practicing their traditional culture,” Lam said. Delicious dishes in Moc Chau are made of buffalo or cow. 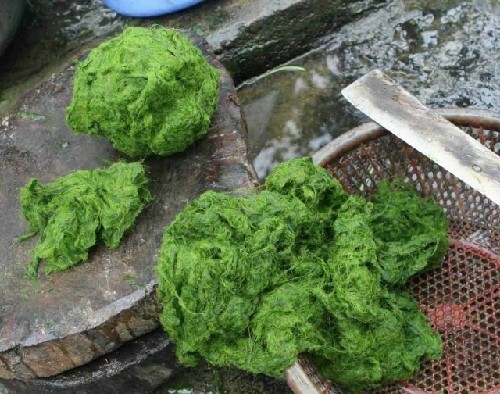 One of the favorite dishes here is “tinh top” which is made of brook fish seasoned with “cham cheo”, a typical spice of ethnic people in northern Vietnam. Visitors to Moc Chau have many accommodation options, according to Mr. Lam. “Depending on the size and interests of each travel group, tourists can choose to stay at hotels in downtown Moc Chau or in stilt houses in Ang village, where they can also enjoy BBQ and a campfire. Tourists now favor a homestay where they can live, eat, and talk with locals to learn about their daily life and traditions," he added. Let’s continue on to another destination in Moc Chau that visitors pass on their way from the central town to Ang homestay village. It’s Doi (Bat) cave. 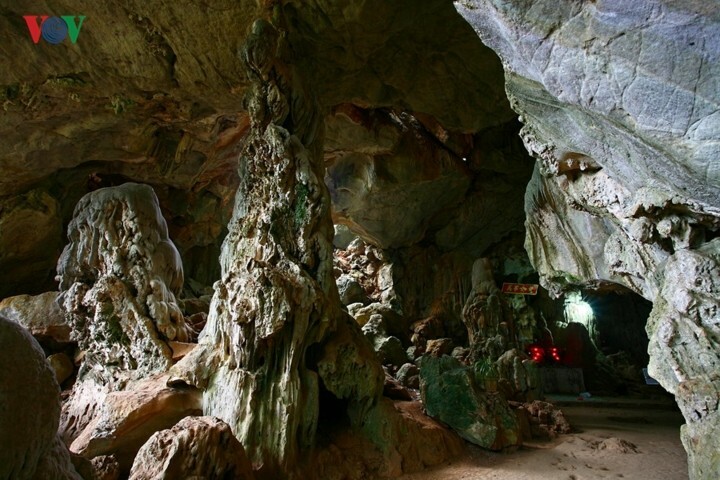 Bat cave in Moc Chau is a scenic spot and a historical relic. 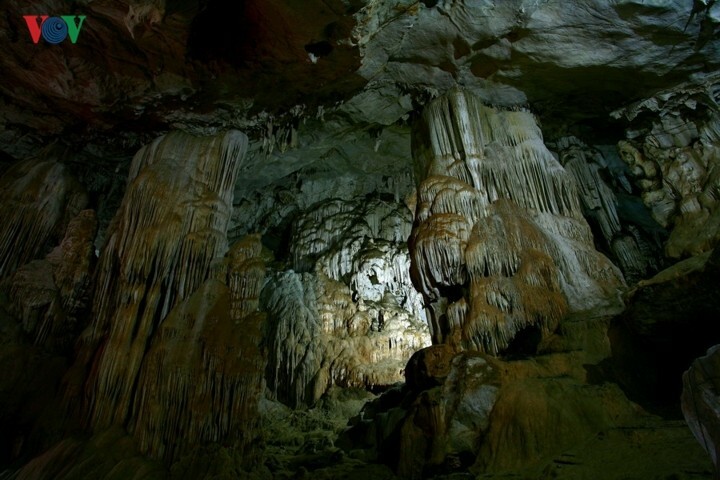 Doi cave, also known as Son Moc Huong cave, is 6 kilometers northeast of Moc Chau. The cave entrance can only be reached by climbing 240 steps. Once you’re inside, the impressive 6,000-square-meter limestone cave overwhelms you. Climbing the mountain while listening to distant birds and gushing streams is a relaxing experience. The cave's entrance looks like a dragon's mouth. Lu Thi Hong Mai, one of the first Ang villagers to provide tourism services, says the Thai originally called this cave “Sa Lai”, which means “water” in their language. People later gave it the name “Doi” as there are flocks of bats living inside the cave. “Legend has it that the God of Hell once sent his troops to arrest a very beautiful lady who was bringing rice to her father. The father waited until noon but never saw his daughter so he told her lover something had happened to her. The man fought the God of Hell (also called the Naga) through Doi cave and chased the Naga to Ang village, where he triumphed and took his beautiful lover back,” Mai explained. The tour guide is recounting another legend about the formation of the cave. A dragon flying to the East Sea was enchanted by the beauty of this land and forgot all about the East Sea. He landed and made this mountain range his home, turning the area into a magical landscape of mysterious colors: white as crystals in the morning, blue as sapphires at midday, pink as rubies in the afternoon, deep purple in the twilight. On the day the dragon finally left the mountain range, he dropped seven jades from his mouth and turned them into mountains to thank the land and people of Moc Chau. 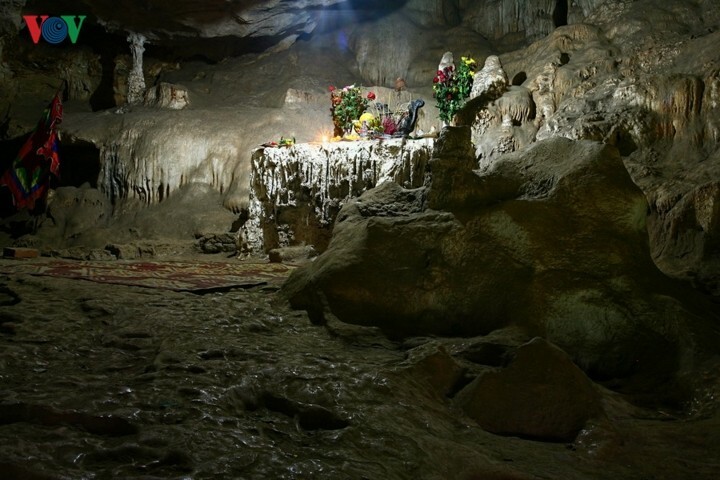 In one of the jades, Doi Cave is situated. The interior of the cave is stunning. From the ceiling of the cave hang twinkling seven-colour stalactites, some of them 20 meters long. They look like roots of an ancient banyan-tree. Others look like Buddha, elephant, tiger, lion, eagle, and masses of cloud. In the middle of the cave is the magnificent palace of a princess. On the cupola of the cave are many small rocky holes which teem with bats. Drops of water drip from the stalactites, creating a melodious sound. The Government recently approved a plan to create a Moc Chau national tourist site until 2030, containing a resort, an ecotourism center, and an entertainment center, spanning 200,000 ha in the two districts of Moc Chau and Van Ho. The site is expected to attract 1.6 million visitors by 2020 and 5 million by 2030.